The year of 2017 came to a close with several important milestones being accomplished in the development of the primary project of the Auschwitz Institute’s Educational Policies Program (EPP). 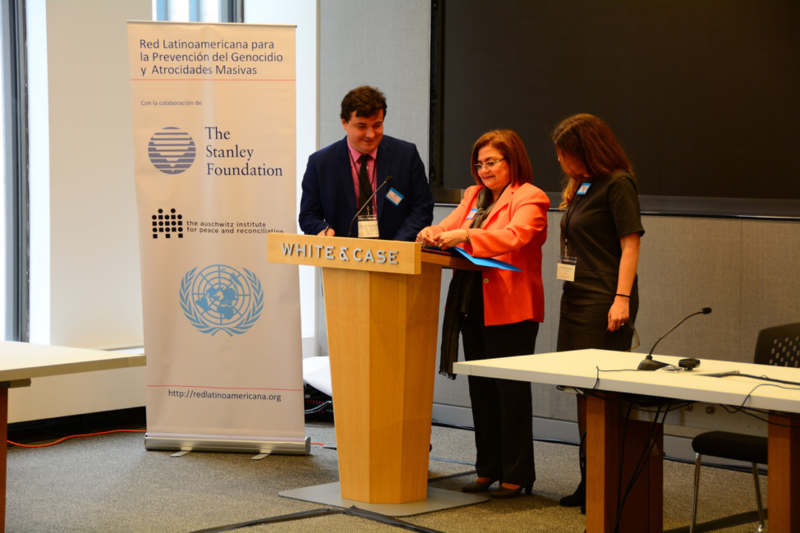 A robust initiative, “Education for the Prevention of Mass Atrocities” has been under development since 2016 in Brazil and El Salvador, two member countries of the Latin American Network for Genocide and Mass Atrocity Prevention. 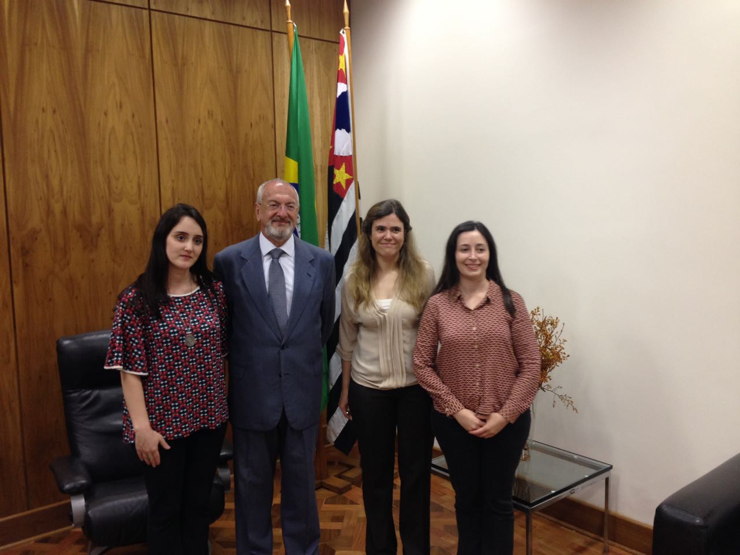 In Brazil, an initial meeting of the project’s Working Group was held on August 28, 2017 in the capital city of Brasilia. Following this, a proposal for designing an educational methodology whose central objective will be to contribute to the creation of scholastic spaces for dialogue was developed, with an emphasis placed on fostering plurality and mutual respect. Within these spaces, students between the ages of 15 and 18 will able to develop tools to interpret and investigate the social challenges of the world in which they live. The identification and recruitment of an expert consultant who will work on the proposal was completed in November of 2017 and, since then, the focus of the initiative has been on locating four schools (two in Brasilia and two in Sao Paulo) in which the pilot phase of implementation will take place. To make this possible, the Auschwitz Institute has signed a Protocol of Accession with the Secretariat of Education for the State of Sao Paulo. Follow the signing of this agreement, AIPR has been working with the Secretariat of Education to select the two Sao Paulo schools which will house the pilot phase of the project in 2018. For the component based in Brasilia, the project team successfully carried out a series of survey visits to educational centers in December of 2017. The project was presented to directors and pedagogical coordinators, who recognized the potential of the initiative and demonstrated great interest in supporting it. Once the selection process has concluded and the protocols for cooperation have been formalized with the four selected institutions, a pedagogical planning phase will begin in collaboration with both the schools and the project’s Working Group. At this point, teacher training will commence ahead of the project’s implementation, which will run throughout 2018. In El Salvador, two national consultants were identified and contracted to develop the contents of the toolkit being created as part of the project. This is consistent with the agreed-upon agenda items from the Second Working Group Meeting held in San Salvador in March of 2017, which included plans for a revision of the original proposal. These efforts have been fully consolidated and are being fully supported by the national government, following the addition of the Ministry of Education (MINED) to the project. This was formally established through the signing of a Memorandum of Understanding (MoU) between the Ministry, the Salvadoran Office of the Ombudsman (PDDH), and AIPR in November of 2017. Following the signing of this MoU, on December 12, the Auschwitz Institute, the PDDH, and MINED, organized the third Working Group meeting in San Salvador. The meeting was called with the primary objective of discussing the preliminary proposal for the development of the educator toolkit, which had been developed by the project’s consultants. Work in 2018 will center on the finalization of these materials in order to move forward with the organization of a series of activities for training, dissemination, and advocacy to be held with teachers and managers of educational institutions, as well as other groups who work on these themes. 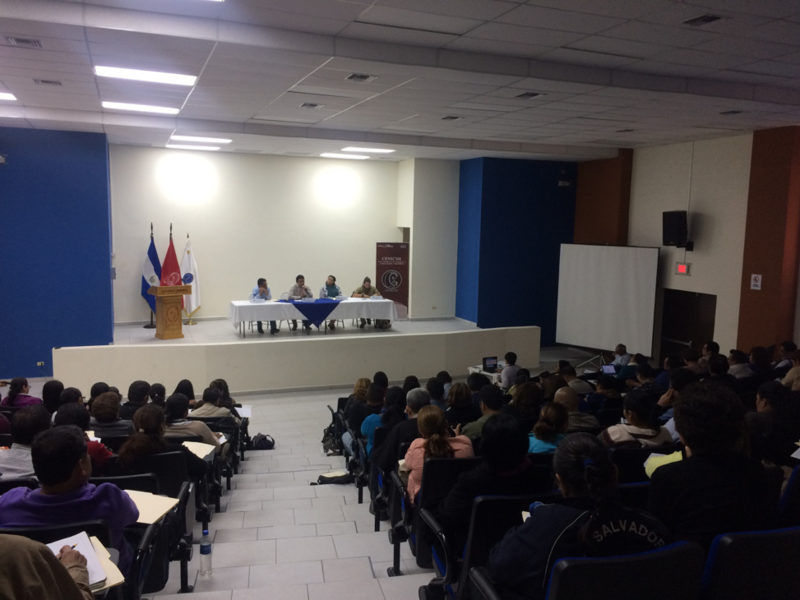 The third Working Group meeting was accompanied by an event entitled “National Seminar on Historical Memory in the Classroom – Educational Strategies and Challenges,” which was held on December 11 at the University of El Salvador. The National Seminar represented the beginning of a planned series of sensitization and training activities for teachers. The event welcomed more than 210 participants and worked towards the objective of creating a space for reflection regarding the place of historical memory in the educational system, considering the extent to which this task can contribute to the promotion of a culture of peace in El Salvador. The seminar began with an opening ceremony that featured remarks by Ricardo José Gómez Guerrero, Deputy Ombudsman, Dr. Carlos Rodríguez, Coordinator of the National Center for Social Science and Humanities Researchers at the Ministry of Education, and Dr. Clara Ramirez-Barat, Director of AIPR’s Educational Policies Program. The event then continued with two discussion panels. The first panel was dedicated to the consideration of the themes of memory, a culture of peace, and education in El Salvador. Jorge Juárez, from the University of El Salvador, Claudia García, Head of Projects and Education of the Museum of the Image and Word in Cartagena, and Alejandro Labrador, Coordinator of Global Platform El Salvador made key contributions to the discussion. The second segment sought to bring attention to the experiences of other countries. During this portion, María Andrea Rocha Solano, a member of the pedagogical team of the National Center for Historical Memory of Colombia, made a presentation on the multi-year efforts of her institution towards the development of a toolkit for teaching peace. The event’s final presentation was done by Dr. Yael Siman, Professor at the Iberoamerican University in Mexico City and Founder/Director of the Nenemi Paxia Civil Association, who broadly analyzed a series of questions related to the promotion of citizenship through education and highlighted the work of Facing History and Ourselves as a point of reference. For more information on the tools and programs being developed by AIPR’s Educational Policies Program, please click here to view the program’s page on our website.